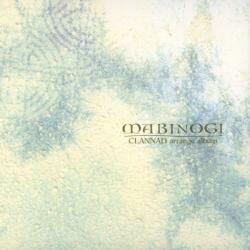 CLANNAD arrange album "MABINOGI" / CLANNAD arrange album "MABINOGI" / CLANNAD arrange album "MABINOGI"
Included with the limited edition of the PC game CLANNAD. The printed catalogue number for this album is actually KSLA-0010; however, the preceeding release (Kanon/AIR piano arrange album "re-feel") has the same number. Since the next release is KSLA-0012~4 (the CLANNAD game soundtrack), the proper number for this album is most likely KSLA-0011. Track 9 "Mag Mell" is not listed in the booklet.